The American Wind Power Center rose from the personal collection of a researcher named Billie Wolfe who began documenting and working to restore and preserve the country's disappearing windmills in the mid-1960s. 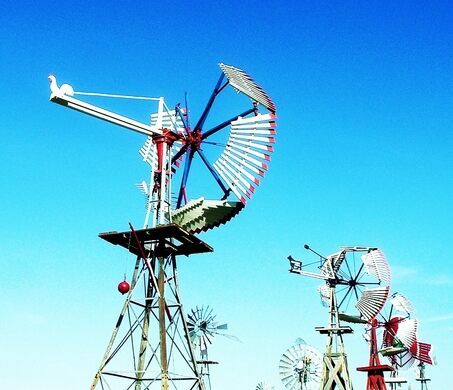 In 1993 Wolfe established the National Windmill Project with the help of Coy Harris, a Lubbock native and CEO of Wind Engineering Corporation, with the aim of raising enough money to create a windmill museum. By then her collection had grown to include dozens of dismantled windmills in need of a home. 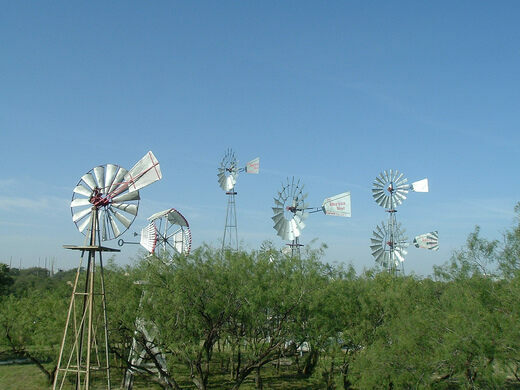 Wolfe passed away in 1996, but her work had raised a great deal of interest in the preservation of early American windmills, and in 1997 the City of Lubbock offered 28 acres of land to house Wolfe's collection and celebrate the history of wind power. 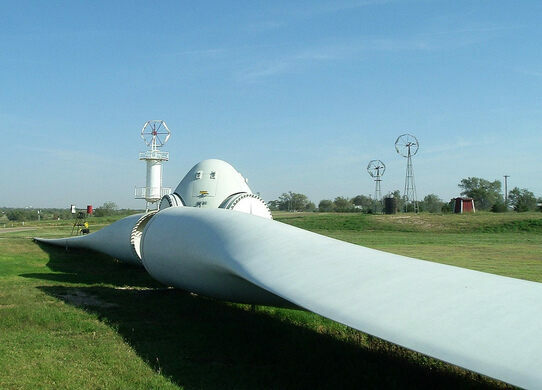 Join us on Obscura Day for a guided tour of the American Wind Power Center's nearly 200 unique windmills. We'll explore both the museum and the grounds, with the opportunity to see a variety of shapes and sizes of windmills in action--from simple farmstead scaffolding windmills to larger, European-style mills with small buildings as bases, and even futuristic wind power factory turbines!